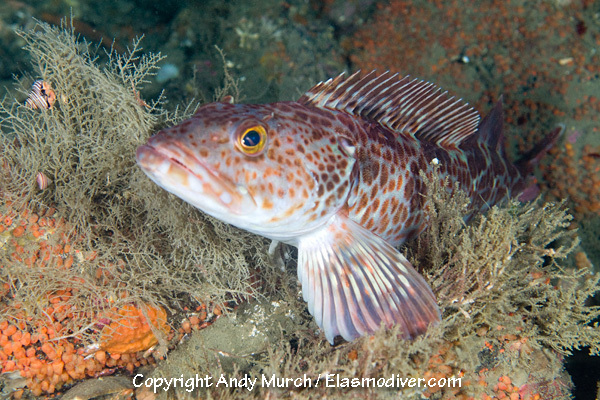 The Lingcod (Ophiodon elongatus) is the apex predatory fish on the rocky reefs of the Pacific Northwest. Although there are technically big sharks that also patrol the reefs, the lingcods are generally the largest fish that divers are likely to encounter.. 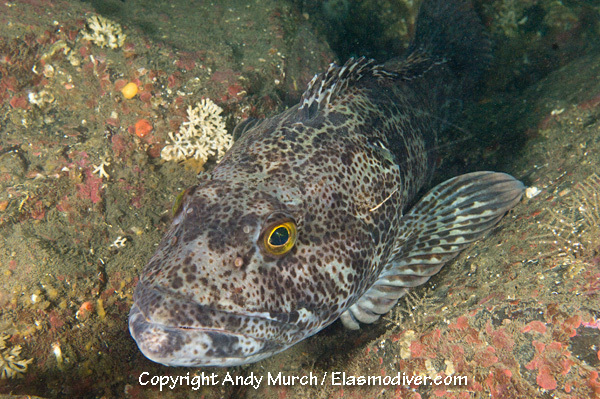 These lingcod pictures are available for commercial licensing. For further information regarding usage please e-mail Elasmodiver. All of the images on elasmodiver.com are copyright protected. No unauthorized use of these lingcod pictures is permitted. Please contact Elasmodiver for further information.